What with all the flying out of Gatwick’s South Terminal in the last few months, I’ve had the chance to try Bruno Loubet’s Grain Store Cafe a few times already. I still haven’t tried the original restaurant at King’s Cross but I know there’s an emphasis on vegetables, without being a fully vegetarian restaurant. Healthy without being boring. Our flight to Milan earlier this year was a morning one and we took the chance to eat off their breakfast menu. 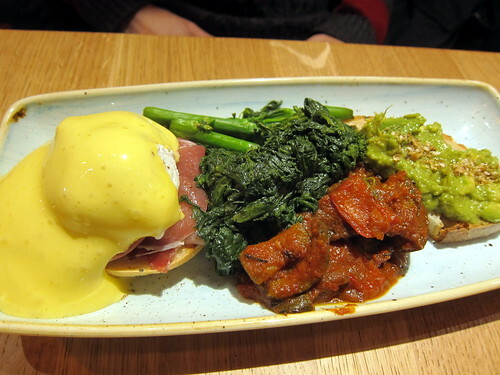 Bruno’s Power Breakfast was a small platter of eggs benedict, truffles, broccolini, grilled vegetable ratatouille with dukkah and avocado on toast. I loved the emphasis on greenery for breakfast and that avocado toast was excellent stuff. The only letdown was the hollandaise made without butter….without butter, it’s not hollandaise, sorry. 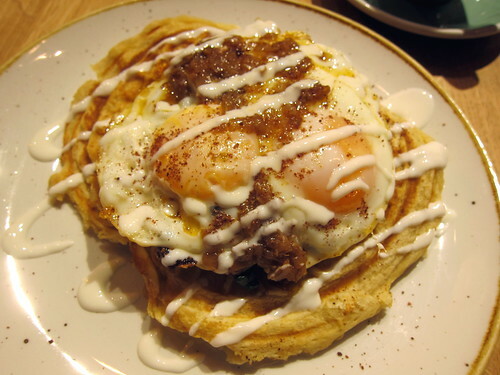 Baghdad Eggs were fried eggs and spiced butter on salt-baked celeriac waffles. I don’t think I could detect the celeriac in the waffle batter but the combination was fresh and fantastic. My flight to Stockholm was after work on a Friday, meaning that dinner was going to be a long way off. 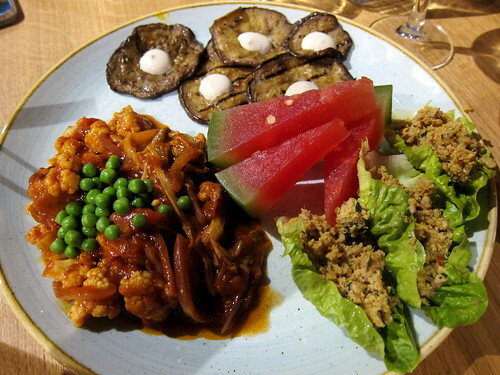 A selection of small dishes seemed like the perfect nibble – Thai minced chicken (this looked like larb in lettuce cups and was served with watermelon), a Greek-style dish of artichokes/tomatoes/cauliflower/mushrooms, and grilled aubergine with tonnato sauce. Everything was fine and just tasty enough. OK, nothing was spectacular but y’know, very good and very creative for an airport. 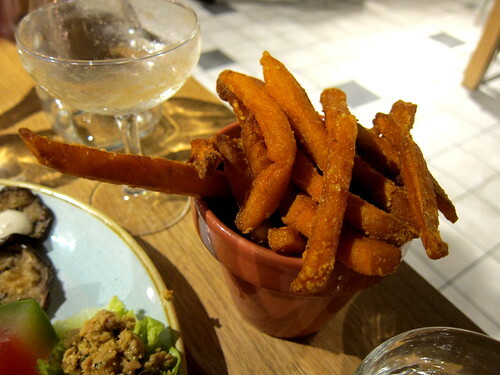 Sweet potato fries were also ordered and were perfect. Extracting them from their plant pot was like playing a gustatory version of pick-up sticks though. Then the flight to Bordeaux (you would have thought I’d deliberately flown out of Gatwick South Terminal this year…) had me looking for a snack. 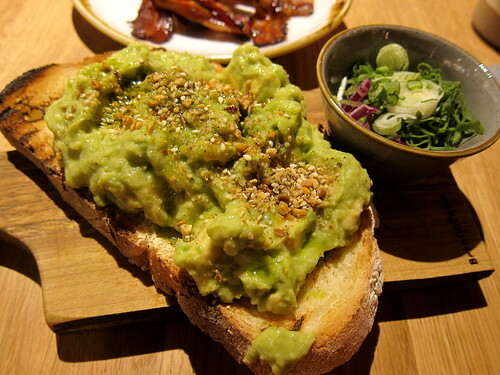 I spotted the avocado toast on another table and ordered that…but with a side of bacon. The hipster snack was perfect – the avocado fresh and well seasoned. 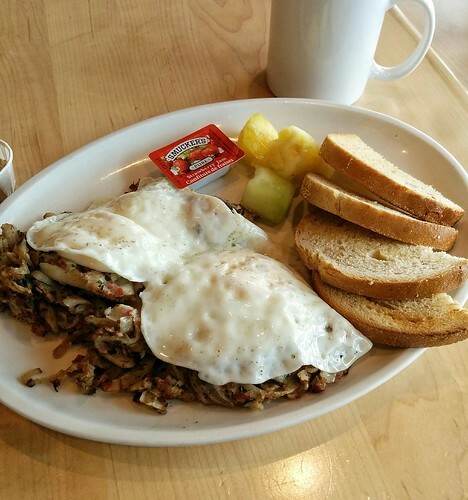 I didn’t need nor want the sliced onions on the side – onion breath is always a faux pas on an airplane. 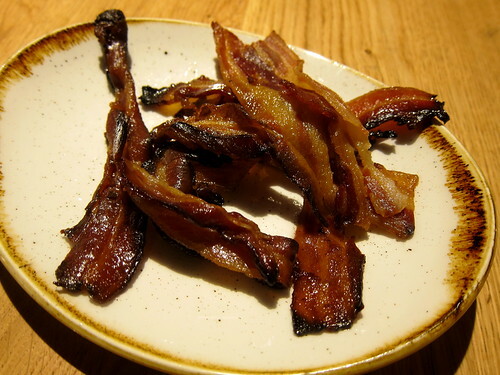 The bacon was overcooked though and had turned into bacon jerky, just a bit too chewy for my liking. I’d skip that next time and uh…maybe get more sweet potato fries. 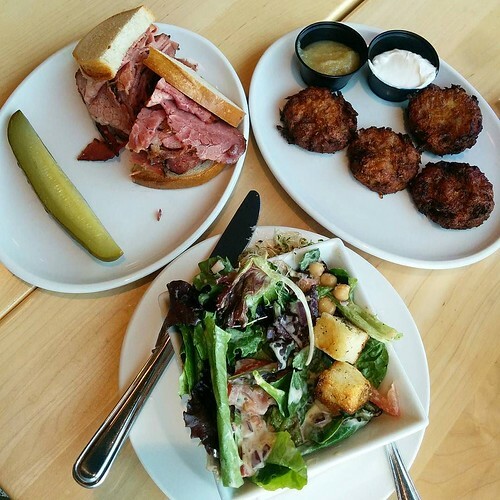 Other dishes that looked good (as they whizzed past me) include their burgers, their salads, and their fish and chips. It’s fun, it’s creative, it’s mostly healthy. I think it’s a great addition to Gatwick and possibly the best place to eat in Gatwick South. The only thing that would make it better is more reliable free wifi but hey, that’s just me.